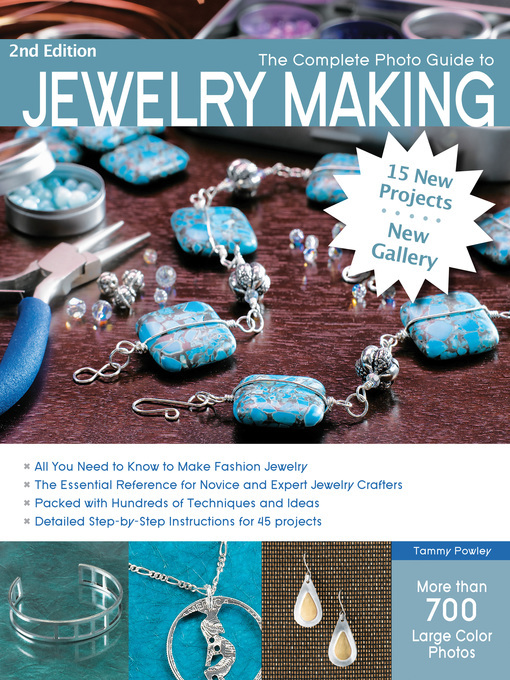 This book is a comprehensive how-to book about all aspects of jewelry making. It serves as a reference and technique guide for .all the common methods and styles of jewelry: beaded jewelry, wire, crystals and gems, polymer clay, PMC. The organization provides easy access to information with step-by-step directions and 600 full-color photos for clear understanding. Easy projects allow the reader to try the techniques in each section. Galleries of jewelry by a various artists offer the reader examples and inspiration to pursue the hobby for themselves.